Chamber music has for quite a while been a strong interest. The first group I remember forming, or helping to form, was the Harding Brass Quintet. One year, we had a euphonium instead of a trombone, and we enjoyed a few performances during a year or two of my later undergraduate years. I remember playing the Ricercar del Primo Tuono and a Gabrieli sonata or canzona. We did fairly well with the classic Sonate die Bankelsangerlieder, too. The players were Glenn, Daphne, me, Ken, and Bob, and then Ken switched from euphonium to tuba, and we had Milton on trombone. Good times. I don’t recall significant chamber experiences before that time, so I suspect it was the HBQ (sponsored by the late, gracious Dr. G.E. Baggett) that started whetting my appetite for one-on-a-part playing. As a master’s student at the University of Delaware, I formed a quintet that enjoyed, as I remember, only one gig—Easter Sunday at the church where the choral professor was also the music director. This was a good group that included one nursing faculty member and four music students (Jon, Chris, me, Julius, and Al). During roughly the same time, I was co-founder of Quintessence, a woodwind quintet. I don’t remember performing at all with that group, but rehearsing was a pleasant experience. Later moving to the Heartland, I did not form a group but played with a town-gown orchestra and auditioned for the Kansas City Wind Symphony. Playing principal horn in the KCWS gave me inroads into both the quintet and large-ensemble iterations of the Kansas City Brass Project, and some great music was made. Moving on to Colorado, in my second year as a doctoral student, I formed and conducted the Foundation Brass, a full-size brass ensemble of the most talented players in the entire School of Music. I also co-founded the Grad Brass Quintet. In New York, I was more creative with an ensemble name, founding the Alle-Catt Brass Quintet—students and faculty members from two colleges. Respectively, we lived in Allegany and Cattaraugus Counties—thus the name. We played all the good stuff, and some of my own arrangements and compositions, too. I’ve kept in touch with a couple of those players but have lost touch with a couple others. [I]nstrumental chamber music is being coached and rehearsed largely between 11:00 and 1:00 on Thursdays, during major ensemble time, during an isolated hour or two, e.g., Friday mornings, and as a matter of course in the studio enterprise. [S]tudents reap tremendous benefits through chamber endeavors of various shapes and sizes, [and] it is worth the effort in order to provide greater breadth of opportunity for musical maturing in terms of such aspects as stylistic matching, intonation awareness, and independence. Here is a sample program. from that very active year. It has been said that a (high-functioning) string quartet is the most perfect example of positive, interactive human behavior. I would expand that to all good chamber music-making. For the last five years, I have not had the opportunity, drive, or resources to form or work with any small chamber ensembles. I miss this kind of music-making terribly. Here are some comments on coordination in three areas: conducting of ensembles, PowerPoint slides in worship assemblies, and intersections/stop signs. Student conductors sometimes have difficulty coordinating the cueing of entrances. Although precise, technical attention is sometimes required, fledgling conductors tend to over-technicalize cueing. Breathing is an important component of the whole. I have encouraged students who are working on cueing simply to think as a singer or wind instrumentalist¹—breathing as if s/he were singing or playing the same passage. A student will often do better if s/he doesn’t overthink it, rather simply coordinating the gesture with a breath. One ought simply to breathe and move naturally, within the learned musical “habitat.” It seems to me that this more organic approach—mentally placing oneself in the position of the musician(s) being cued, and breathing as though one is making the sound on his/her instrument—helps immeasurably in the process of mastering and coordinating the gesture. In church assemblies (commonly called “services”), coordination of slide changes with musical phrases is rarely executed well. In one recent church visit, the slide-changing effort was better than most, yet it was clear that no one was coordinating slides with actual singing. A later experience at a different church was more typical—with three or four egregious errors (not changing the slide at all until all the words on the next slide were nearly complete! ), and a split-second to a full second late on many other slide changes. The timing does make a difference. Again, I have found from personal experience that the natural approach works: the person who’s changing the slides should be actually singing or at least mouthing the words. Otherwise, the slide change will typically be too late, causing the singer to miss the first word or two. It can be difficult to sing without a feeling of mild gasping or hiccuping. In the Middle Ages, a musical composition technique came to be known as hoquet (later Anglicized as hocket), meaning “hiccup.”³ That hiccup effect—involving the stopping and starting of different voices—can be entertaining and musically interesting when conceived intentionally. On the other hand, hiccuping at stop signs and during congregational worship music is unintentional, uncoordinated, and largely avoidable. ¹ Since string players and percussionists technically don’t have to breathe in order to play, some of them will naturally have more difficulty with this skill. 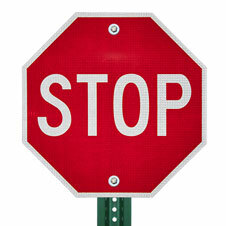 ² Where I live, the stop sign issue is complicated at certain poorly graded and/or un-repaired intersections. My little sedan will bottom out unless I approach slowly, at an angle. In one case, I have to veer far to the left, using the lane reserved for oncoming traffic, which of course complicates everything further. ³ In that time, metric/rhythmic notation was relatively new, having been apparently absent for a millennium. The lack of focus on rhythm makes the Middle Ages the Dark Ages in my book! Philip Yancey has for years been a favorite author of mine. He writes fluidly, communicating genuinely to the common person without “talking down” to him/her. His work never fails in terms of significance. I’d say Yancey generally does Christian writing without Christian platitudes. His is a voice worth hearing. I recently picked up a Yancey book I’d seen before but have never read: The Bible Jesus Read. (The title refers to the so-called Old Testament.) I sampled four sections. Below are a few gleanings from two of them. If Yancey had said anything about churches in this regard, I doubt his publisher would liked it. I’d say most churches do worse than bookstores—rarely if ever giving vent or voice to lament, in times of either personal or corporate distress. Compared to celebration, praise, and other upbeat activities, lament seems less desirable, but it’s just as important for the human soul. I could elaborate more and add personal observations about congregational practice, but I’ll simply let this stand for reflection. [The] key word “meaningless” appears 35 times, drumming home the theme from beginning to end… It conveys a strong sense of “the absurd.” The issues bothering the teacher were the same ones that bothered Job and that bother all fair-minded people today. The rich get richer and the poor poorer, evil people prosper as good ones suffer, tyrants reign, disasters happen, disease spreads, everyone dies and turns to dust. Life is unfair. Nothing makes sense; the whole world seems off-balance and twisted…. There is only one word fit to describe this life: meaningless. Despair is certainly appropriate at times in human existence, but not always. Ecclesiastes has struck me as being deeply philosophically and appropriately filled with melancholy. I seems good to realize, too, that Psalms are not brimming with praise; rather, they alternate and juxtapose God-lifting thoughts with cries and laments. Negative emotions need voice, and literature such as the Ecclesiastes and the Psalms can help. Last Sunday, I was impressed anew with what is really a timeless quality in the words of “Just As I Am.” It hit me pretty deeply. Who among us could rightly mock the notion of approaching Jesus to “rid my soul of one dark blot”? Who has not been “tossed about with many a conflict, many a doubt …” or had “fears within and foes without”? Who, upon realizing personal blindness and the need for “sight, riches healing of the mind,” would not want to recognize the Lamb of God as the one to whom I go, crying out, “All I need in Thee to find!”? And who would not love the Savior whose “love unknown has broken every barrier down”? These inspirational quotations come directly from Roger Thoman’s blog. The original source is Francis Chan, Letters to the Church. I believe God is leading a movement in this country toward simple, smaller gatherings, and I long to see this movement gain greater traction. I get so excited when I dream about the Church spreading in small, invigorating expressions that look and feel like the early church. This is the quickest-written, most spontaneous, least proofread piece I’ve written in years. It’s about God’s provision, as I’ve recently experienced it. Two friends appeared at just the right moments. One of the moments was surprising: I have only known this person for a couple years, and some of that time was spent intentionally staying away from one another. Then there were marked steps in a better direction, including but not limited to a revealing moment in a conversation a few months ago: she said she had made the decision to move from being a believer to being a follower. I have observed bits of the fruit of that decision in her life, and good interactions of various types have sustained and renewed the friendship. To the point, yesterday, she was at the right place at the right time. She told me something about a poignant song, and it moved me. A few minutes later, I simply had to tell her that I felt she was used by the Almighty in my life. This was a provision of daily bread for me. And then another bit of friendship “manna” came a few hours later. Longstanding friendship comes in different shapes and hues. This devoted friendship is rich, has multiple good facets, and has been unquestioned for a decade. The conversation here was longer, providing sustenance on an even deeper level. A listening ear … personal and spiritual connections … words cannot adequately convey my gratitude for this “manna” from God. It’s only mid-morning. As Jedd I sat at the table for oatmeal, I called to mind the back of a Fernando Ortega CD case I had just seen in my study. One song’s title is “This Good Day.” I could not in all honesty yet call this a good day, so I simply prayed openly about “this day.” All I can ask is for His provision for this day. It’s my recollection/understanding that God’s manna, provided during the Hebrews’ wilderness wanderings, was purposefully provided on a daily basis—precisely so the people would know God provides on a daily basis. There was to be no storing up, no stockpiling. In the same vein, I should try not to worry about provision for tomorrow or next week. I am grateful now for the provisions of yesterday through two friends, and for sustenance for this day. This is God’s manna. In terms of parenting and discipling, I am glad Jedd knows without doubt that I was grateful to, and dependent on, the Lord this morning. My handwriting is getting worse. Our son’s handwriting is sporadically OK (e.g., with his name) but isn’t improving as nicely as we’d like. This interview-blog with Steve Reece, professor of classical languages at St. Olaf College, is about handwriting in ancient letter-writing, and it kept me reading. The particular passage at issue is Galatians 6:11-18, which begins with the famous exclamation “See what large letters I make . . . in my own hand!” For a thoughtful professor and researcher, multiple questions arise when students ask a question about such a passage. My impression is that Paul may have sometimes dictated syllable by syllable (e.g., Philemon), but that at other times he may have dictated the words and phrases to his scribe but given him the freedom to use his own diction and style (e.g., some of the Pastorals). The composition of a letter may have been a team effort, as Paul, his companions, and the scribe(s) bounced ideas off one another and read and re-read drafts of the letter. Obviously, if it were determined that Paul used his scribes to varying degrees in the composition of his letters, this would offer another angle from which to contemplate the ongoing debate about the Pauline authorship of some of the letters that have been traditionally attributed to him, particularly with respect to judgments that have been made about the authenticity or inauthenticity of some of the letters based on their stylistic and linguistic traits. Differences in the style and diction of letters may have arisen from the influence of scribes working at various levels of participation with the author/sender, for in such different compositional circumstances we should not expect stylistic and linguistic uniformity. Incidentally, we appear to have a vestige of Paul’s interaction with a comrade and a scribe at the beginning of his first letter to the Corinthians, which he is dictating to a scribe, perhaps his companion Sosthenes (1.1). An irate Paul declares to the Corinthians (1.14-15): “I give thanks that I baptized none of you except Crispus and Gaius, so that none of you may say that you have been baptized in my name.” Then, perhaps having been reminded by the Corinthian Stephanas – who appears to have delivered a letter to Paul from the Corinthians, was expecting to deliver Paul’s letter in return to the Corinthians, and therefore was a witness to the dictation process (16.15- 18) – that his memory has failed him here, Paul offers an addendum (1.16): “And I also baptized the household of Stephanas, but as for the rest I do not know if I baptized any other.” We seem to be witnessing here a glimpse of the actual process of composition: having misspoken during his dictation, Paul simply had his scribe insert a parenthetical correction, perhaps interlinearly or marginally, rather than requiring him to go back and rewrite the entire section. Later copyists inserted the parenthetical addition into the body of the text, where it has resided, though somewhat uncomfortably, to this day. Find the entire interview here. Hayden describes the resident mission family, with whom he will be interning, as “putting nothing before the Kingdom‘s work.” The mention of Kingdom is always sure to pique my interest. Add to all that our appreciation for Hayden’s entire family (my parents’ neighbors for several years), the fact that he has made time on a few occasions to visit at length with my mom after my dad died (also helping her with several minor repair items), and that he is studying Hebrew, which I don’t think is a requirement for his major. Not only does Hayden have character and background and spiritual drive, but he also cares about biblical languages. I think he just might be destined to make a difference in the Kingdom, and we are privileged to help just a little in one segment of his journey as a disciple and subject of the King. ¹ We don’t itemize on the tax return, so there is no tax benefit to us for making charitable contributions. Still, it seems a good time to give something to others. Today, I post in my honor of my dad, Gerald W. Casey, and also in tribute to my mom’s father, Andy T. Ritchie, Jr. Both men died in November: Ritchie, 25 years ago, and Casey, one year ago today.¹ Having been strongly influenced by his father-in-law, my dad would have wanted to be present for a special event last month. The ceremony was an effective length, I thought, and it was carried out nicely. Granddaddy’s influence was experienced on the Harding campus in group devotionals and leadership in chapel; classes in New Testament, the Psalms, Prophets , and Christian worship; and for a short time, in the chorus. His book Thou Shalt Worship the Lord Thy God was used in college courses and enjoyed a berth on many shelves. Also notable, but presumably not directly pertinent to the naming of this university chair, are my grandfather’s teachings and examples in congregational and private worship. For those who might wish to view the event, I happily share the link to a video provided by Harding University. Toward the end of the video, in conjunction with biographical photos, my grandfather’s voice is heard saying a few things about worship. Today I am grateful for the memories of Andy T. Ritchie, Jr., and Gerald Casey. ¹ In the early morning hours of November 28, 2017, just a few hours after he had arrived in the hospice wing of Unity hospital in Searcy, my dad died. Mom had been with him just a few hours earlier, and his brother all his children, and one of his grandchildren had been with him during Thanksgiving week just prior. ² I recently learned that Granddaddy had a habit of asking for the names of students who were not known to be Christians. He would seek them out in personal conversation. In June of 2002, my soon-to-be-bride and I spent a few minutes talking with H. Robert “Bob” Reynolds and his wife Kristin Reynolds. This conversation, at a casual, post-conducting-symposium soirée, was rich because of musical and relational connections. It was clear to both of us that this special couple had something going for them. Kristin, an accomplished oboist, had returned again to CU-Boulder as a volunteer, offering her artistic talents to play in a rehearsal ensemble for the benefit of conductor-students. Bob was guest lecturer in an afternoon session, and he did something “off the beaten path” that contributed, materially and memorably, to my education. He shared with us the Jessye Norman recording of Richard Strauss’s Four Last Songs; these recorded performances, Bob put forward, were an example to all music-makers. This lesson provided a model for a group of conductors—who are, after all, music-makers who lead and inspire groups of other music-makers. Last night (November 18), Reynolds led portions of a rehearsal of two Baylor University bands, and I was privileged to watch a video feed. Bob’s masterful, mature leadership actually brought tears to my eyes. I knew two of the works he was conducting fairly well, but he knows them intimately. His conducting was, to say the least, inspiring. Anyone may tune in tonight for the live performance; several works will be conducted by Bob Reynolds. The URL for the performance is https://www.baylor.edu/music/index.php?id=935526. Sometime in the summer of 2009 or 2010, I contacted composer Carter Pann about his music. I had heard the wind band transcription of his orchestral work Slalom and wanted to acquire the piece for use with my orchestra at the time. Pann congenially sent me a burned CD with Slalom and three others, along with a handwritten note. These kinds of interactions with living composers of art music can be energizing. I wish our performance had done his great music justice. It was a technically demanding piece than my ensemble should have attempted at the time, but we do have fond memories of it. The general public tends to think that “classical” or cultivated, artful music (1) is only of interest to dull people and (2) was only written by dead composers. Reynolds and Pann are two fine examples of vigorous, living musicians who give the world something of beauty and artistic merit. If we took the microphones away from those with the gift of gab who are in leadership positions, they might talk less, and the rest of us would waste less time. I regularly observe a lack of audio-consciousness on the part of those who would probably do better if they were only made aware. Conference calls with poor microphone placement and paper shuffling and people muttering…. Processes are sometimes hindered, and the experience can be frustrating. I digress. Did you notice that I referred to “men” who pray aloud and read scripture publicly? What about women? If we took the microphones away from church venues altogether, much of the “official” sense would fade from the minds of those who have concerns about women’s roles “in church.” I myself care about such things, but not necessarily with the same level of concern, or for the same reasons, as many of my historically closest siblings. Today, I’m wanting to pay attention to only a side aspect of this age-old struggle: the physical setting. I would put it this way: The more informal the setting, i.e., the less official and pulpit-like (with microphone), the less present the women’s-role issues. Of course, the size of the venue can be an issue; if it’s a large hall or other acoustical factors are present, amplification is necessary. Thoughts of pulpits and microphones are surface-level thoughts, and people’s actual concerns are not necessarily so shallow. Or are they? If such physical items are removed from the scenario, and if a guy’s concerns then fade a little, I’d say he wasn’t sure what really mattered to him in the first place. Did the bare fact that a woman spoke create the issue for him, or was it the setting in which she spoke? Is it her voice when there are men present that disturbs, or is it the audible voice amid pulpits and microphones and pews? Perhaps a conservative or narrow-minded person doesn’t need to ignore his conscience but to ponder why he feels the way he feels. If the issues seem to fade when the surroundings are less official-looking, less institutional . . . then I’d suggest that the woman’s voice wasn’t the only concern in the first place. A particularly traditionally minded person once spoke for many of his mindset while on a youth retreat. He noted a few nontraditional elements in what we were doing in that setting and commented setting, we could “get away with” more where we were (in a big cabin in the woods). The praise team didn’t bother him there, for instance. See what I mean? In the context, we might first note the imperatives in 6:10-20. The first imperative—”be strong” or “be strengthened”—while clearly indicating voluntary action on the part of the Christian, employs the “passive voice,” suggesting the power comes from another source. In other words, the Ephesian Christian is not told to exercise his triceps, which would result in power based on his own efforts. On the contrary, the source of power here is God. A second notable aspect of this first imperative, to be strengthened, is that it appears to be modified by three succeeding imperatives,¹ and this fact is instructive. We might then ask the question how is one to be empowered/strengthened? Then we see the answer: take up the armor—that’s how. In other words, Paul employs the armor language in 6:13-17 to suggest how the strengthening or empowering is to occur. The expression “in all” or “in every situation” above (en pasin in Greek) appears with the shield but does not appear before the other armor elements. The root word is employed several times in 6:10-20, perhaps most notably in v18 where prayer is the topic. The future tense, not used in connection with the other armor pieces, seems to indicate for Paul a certain result: that the one who takes the shield will be able to extinguish the flaming arrows. We should bear in mind that it’s not the size or composition of the shield, or the nature of the darts, that matters most. It’s what the shield represents in the life of the believer: pistis. I use the English transliteration of the Greek word here both advisedly and conscientiously. I certainly don’t intend to put up any barriers for those unfamiliar with Greek, but I do purposefully assert that it is the original word-concept to which we should appeal, not the word-concept that has developed around it—in another language, centuries later. Pistis, or faith(fulness), is found all over the place in Paul’s writings; it appears eight times in Ephesians, for instance—in every chapter but the 5th. The range of meaning for this word includes (1) trust, (2) “the faith,” i.e., a collected body of understood beliefs, and (3) faithfulness. It is this last possible definition that I am after in the context of the shield of Ephesians 6:16. Here I would refer to the motivated reader to Matthew Bates’s book Salvation by Allegiance Alone: Rethinking Faith, Works, and the Gospel of Jesus the King. I have blogged about that book previously here and here. I find Bates’s thoughts persuasive—and also very helpful to the overall Christian proposition in terms both of doctrine and pragmatics. “Taking the shield of faith,” then, could mean “shielding oneself by making faithful choices that are loyal to the Lord.” The verbs above are naturally plural, since Paul is writing to a group, so there is a corporate aspect to Paul’s language. However, I would suggest that taking up the shield of faith represents an individual choice to live loyally to King Jesus. This same King had been in the literary spotlight in 1:19-21: God’s power led to His resurrection and ascension, and that same power is in turn connected to my being individually empowered to live loyally. As I ponder, attempt weakly to live out, and experience a degree of allegiant living, I am becoming persuaded that holding the shield of faithfulness becomes an integral part of “standing firm” (6:13,14). That same shield in turn is a key aspect of being empowered (6:10). ² Isaiah 59, Wisdom 5, and 1Thess 5. The shield is not mentioned in Isaiah or in 1Thess. Another word for “shield” is used in Wisdom 5 and in many other OT and Apocryphal texts. ³ On this point we might recall that the “struggle” of 6:12 appears to signify a close-encounter “wrestling match” type of conflict. See my prior post here, noting particularly the expression “hand to hand combat” in the 3rd footnote there.